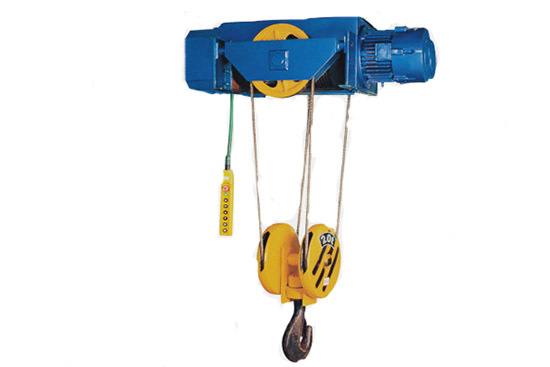 Electric cable hoist consists of wire rope cable hoist and chain cable hoist. 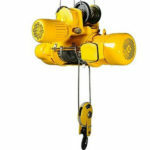 After years technology innovation, electric cable hoists becomes short in size, compact, safety and widespread. 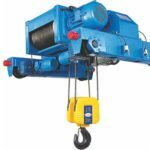 Electric wire rope hoists have four types of mid-range models including CD, MD, HC and HM. Among them, CD and MD hoist are to lift loads under 32 tons. While HC and HM lift loads under 63 tons. 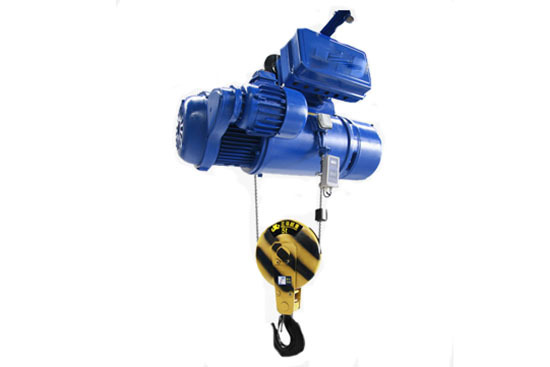 Both MD and HM type hoist are double speed electric lifting equipment. And they are assembled ZDS type double speed motor, the two speed, fast speed is faster ten times than the low speed. Ellsen electric hoists manufacturer dominates the hoist market in China for many years, we are professional in thing concerning with hoisting business. Choose us means you can save big money and get a high strength hoist. Taking CD and MD electric cable hoist as example, they consist of three parts including lifting units, running gear and electric mechanism. 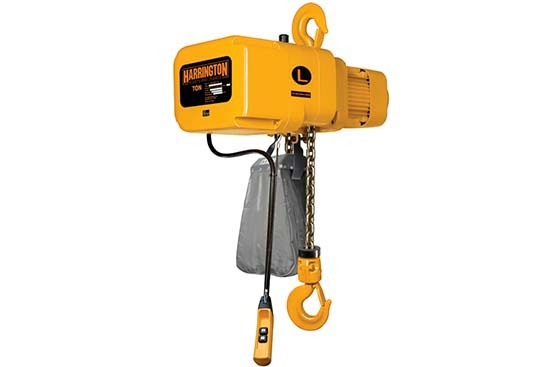 Lifting units consist of lifting motor, reducer, hoist drum device and hook device. For motor, Ellsen hoists adopt conical rotor motor to adapt the direct turning on well. 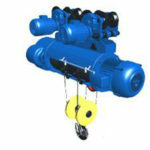 Except o.25 ton hoist adopts planetary transmission unit, the rest reduces all adopts bevel wheel three speed reducer. Axis and hoist gear is made up by high quality structural alloy steel and high quality carbon steel. Besides, all of them are quenched by proper temperature to prolong the service time and reliability. Cable and box cover adopt high quality cast iron, which ensure the good property of shock absorption and leak proof ability. 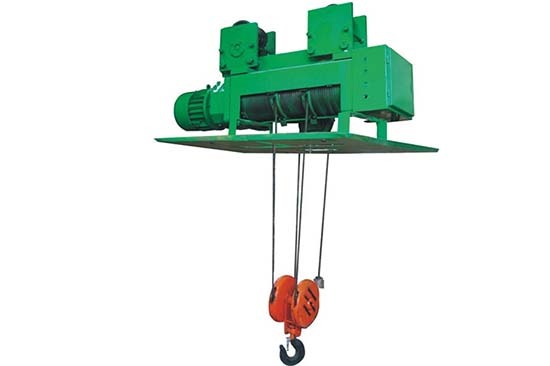 Hoist drum and hook are made up by high quality cast iron as well. For running units are made up of running trolley, running motor, running reducer and driven pulley. 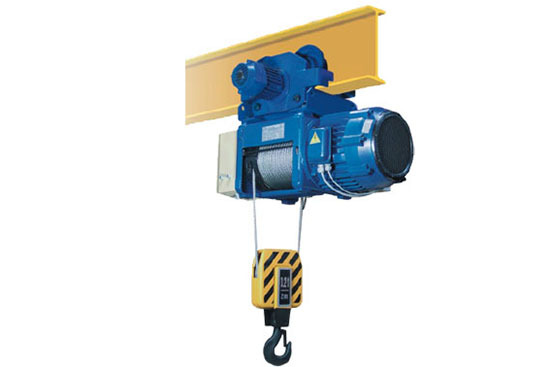 Under the cooperation of all parts, hanging hoist machine moves along waling structure. The speed of pulley is 20 m/min, sometimes, it can be 30 m/min. More importantly, when lifting height of hoist weight 1 ton to 5 tons is more than 12 meters, you are supposed to increase a driven car. 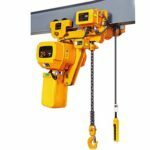 Electrical mechanism of electric cable hoists include electrical cabinet, button, stopper and connecting wires. 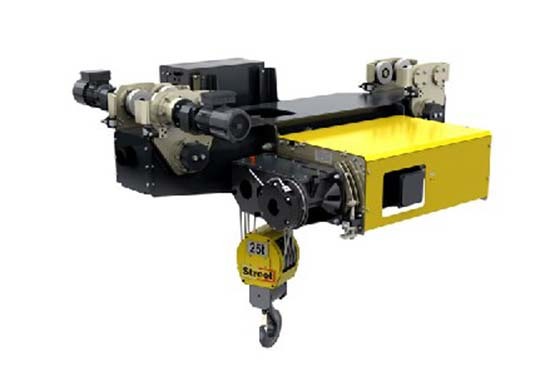 The common operating voltage of you r hoist is 380V or 36V, if necessary, you can get a customized cable hoist machine according to the voltage you need. 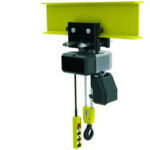 Interested in the electric cable hoist? get the free inquiry to contact us right now!